Looking at the condition of your property often is always a good idea so you can see if any changes or work is needed. As you take a walk around your property you may notice that some of the trees you have seem to have long hanging branches, are overgrown, or are encroaching on your home . You may even see them on your power lines, or the driveway where you park your vehicles. You have always considered yourself something of a handy person that can do jobs around the house on your own, and you feel like you can tackle this project yourself. You may want to think twice before you act with best tree trimming in Brentwood so you can avoid the potential dangers that may exist for you. Trees that are large are not easily trimmed using the basic equipment you may have at your home. You cannot easily reach large limbs that are up near your rooftop or power lines, and it certainly would not be safe for you to try balancing on a ladder with any type of saw. Conditions like this can leave you open to seriously injuring yourself or others with equipment or tree limbs that are not removed safely and correctly. Trying tree trimming in Brentwood by yourself can also lead to damage to your property or that of your neighbors. Tree limbs growing over your roof or power lines need to be trimmed with great care, or you could end up with a tree or its parts taking down lines or going through parts of your home. Many times we have heard about cars getting crushed, trees damaging pools and property, and other stories where damage occurs because trimming was done improperly. 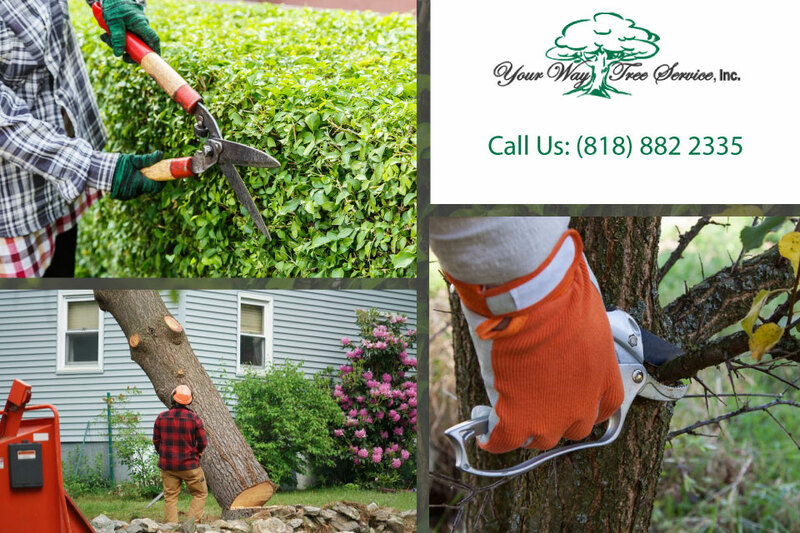 If you want tree trimming done in Brentwood the correct way, you are much better off calling us at Your Way Tree Service Inc. We are seasoned professionals that are fully licensed and insured . Additionally , we know the best and safest ways to perform tree trimming for you. 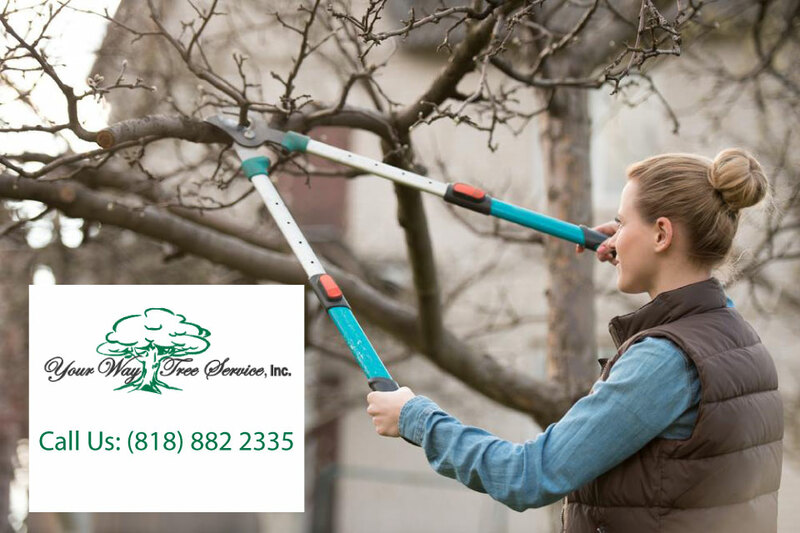 Give us a call at (818)888-9248 so you can schedule a service call with us and we will come to you prepared with the equipment and manpower needed to trim your trees the right way. If you have any questions or would like to make an enquiry, you can send an email to CustomerService@yourwaytreeserviceinc.com and we will respond as soon as possible.